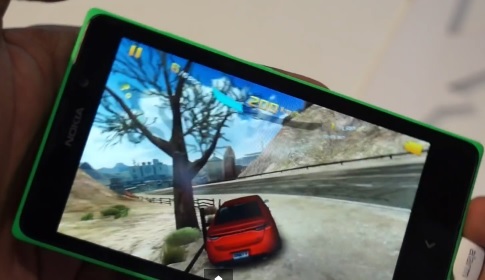 Gaming smartphones are so hot right now and it seems everyone is jumping on the bandwagon. After Razer, Asus, Xiaomi, Huawei, and ZTE introduced devices specifically marketed at mobile gamers, Nokia has also stated its intentions. The Indian division of the company posted a teaser on all its social media channels about its plans to introduce a phone specifically tailored for gaming. The 10-second clip shows some gaming scenes and an outline of a smartphone with three lights behind it. The teaser simply says to stay tuned for a phone we can #GameOn. The company might decide to take Samsung’s approach and just launch a successor of a 2017 smartphone with gaming capabilities just like the Galaxy Note9 and its advertised Fortnite exclusivity. Earlier this month we saw the front panels of two phones allegedly called Nokia 9 (or Nokia 8.1) and Nokia X7 (this one might go global as Nokia 7.1 Plus) without notches. We have to wait and see if one of those smartphones will be gaming-oriented.